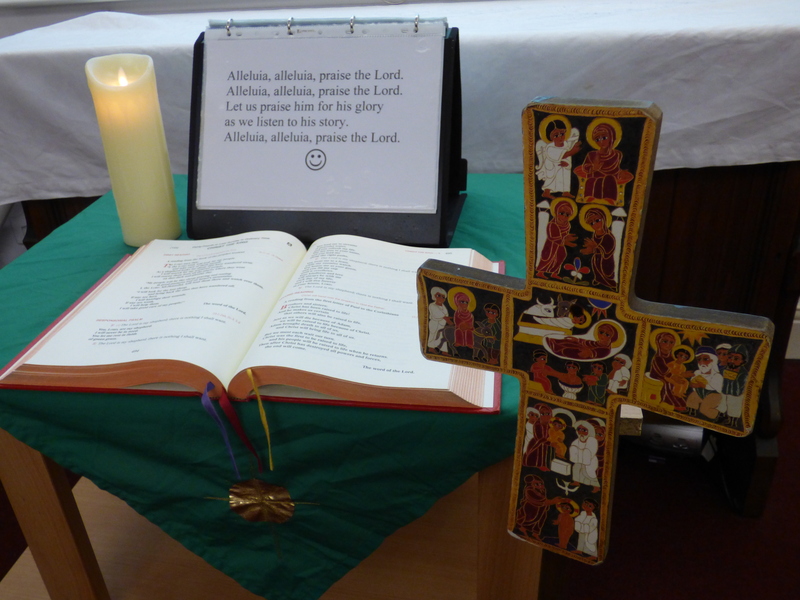 St. Cuthbert’s Parish runs a Children’s Liturgy group every Sunday during term time at 10am Mass. The group is designed to meet the needs of young children between the ages of three and eight years. Younger children may attend but will need to be supported by a parent or carer. 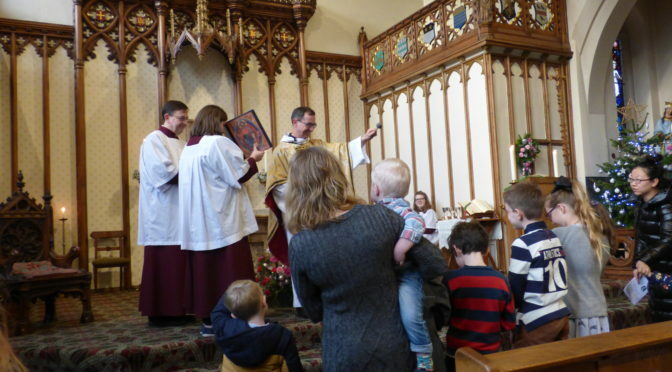 Older children are also welcome, and often help the younger ones, although we do suggest that once children have made their first Holy Communion, they might prefer to remain in church with the rest of the parish community. We try to follow a routine each week which corresponds with the order of the Mass. After the sign of the cross, the children think about forgiveness and we say a “sorry prayer”. We listen to and talk about the gospel of the day. We then do activities which relate to the gospel story. This might be a game or a role play, a word search or crossword or colouring in activities. We also enjoy singing! The group is run by parent volunteers. The volunteers do not have a formal training. 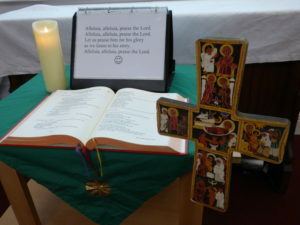 We take it in turns to prepare the liturgy and usually lead the group once a month. All volunteers have a DBS check with the diocese. We are always looking for more volunteers – please do let us know if you would like to help out!